Web giant Google has introduced a new location aware feature to its mapping application that allows friends and family to track each other via mobile handsets. Google Latitude is a social networking feature that was added to Google Maps this week. Once a user has opted in, they can share their approximate location with any of their contacts, as well as staying in touch via SMS, Google Talk and Gmail. Because location aware tools such as Latitude naturally raise privacy concerns, Google has been careful to make everything about the service opt-in. 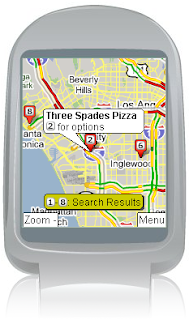 Users can define who gets to see their location, as well as set a manual location to make them appear to be elsewhere, or just a broadcast a city-level location. At launch, Latitude is being made available in 27 countries, and on the PC, BlackBerry, Symbian S60, Windows Mobile and Android platforms. It is expected to come to the iPhone soon.